By the time most people think of using hypnotherapy to help them give up smoking they have tried many other methods: nicotine patches, nicotine gum, will power and self help books. The problem is you will be always fighting against your sub conscious mind. At Hylands Hypnotherapy I teach you how to use your own sub conscious to assist you to stop smoking. Most often we know why we are overweight, over eating, eating the wrong foods, comfort eating, lack of exercise, etc. With hypnotherapy you can address the problems in your subconscious mind and change the way you eat and exercise day by day, without having to go back to dieting, ever. Hypnotherapy is particularly effective for treating stress, anxiety,and panic attacks, because at its core hypnotherapy is based upon reaching a relaxed state. It is also great for: Quitting Smoking – usually achieved within one session, Weight Control/Loss – normally requiring 3 sessions with 3 weeks breaks in between, Insomnia, Shyness, Fears and Phobias, Public speaking, Interview Techniques, Sports Performance- particularly improving technique and self confidence. Neuro Linguistic Programming is the study of what makes us tick or a toolkit for personal and behavioural change. In other words: How we think, how we feel and how we make sense of everything in life and the world around us to have more choices at times when we might consider we are otherwise ‘stuck’. If you need to cancel your appointment over 24 hours in advance then no payment is due. If less than twenty four hours notice is given then 50% is due. If a top up session on the smoking cessation programme is not attended with no prior notice then the guarantee of further sessions is void. I am committed to protecting your privacy. I will only use the information that I collect about you (Data Protection Act 1998) and will not knowingly or willingly disclose it to a third party without your explicit consent. I collect information about you for only two reasons, to ensure that you require the required course of treatments and in order to be able to contact you. I will never collect sensitive information about you without your consent. The personal information I hold will be held securely in accordance with my internal security policy and the law. Life Coaching is all about getting the right balance for you so you can reach your full potential in all areas of your life. Imagine how great you will feel once you have changed your life for the better. Hypnotherapy can help you achieve those goals, book today and you can start reducing the stress in your life, quit smoking for good or lose the weight you’ve been trying to for ages. Life can be better so make it better. Nothing tastes better than the sweet taste of success. Karen Baker graduated with a degree in psychology in 1989. Since then she has spent nearly twenty years in the health care profession. 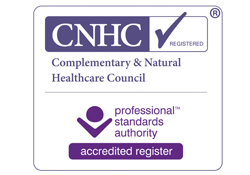 Having decided she wanted a more direct approach to helping people, she then trained as a Clinical Hypnotherapist completing her Diploma in Hypnotherapy and Stress Management, Diploma in Advanced Hypnotherapy and became a Master Practitioner in Hypnotherapy at the British Ethical School of Therapies. Karen is a Validated Practitioner with the General Hypnotherapy Standards Register and a Nationally Registered Hypnotherapist. As such she conforms to their National Code of Ethics for Hypnotherapists. I visited Karen for her help to combat severe anxiety and panic attacks for an upcoming exam. Karen was very friendly and made me feel at ease. The session started with an initial Q&A session and medical history and discussed why I was so worried about the exam. Karen gave me some breathing exercises to use prior to and during the exam as I felt necessary. This combatted the increased adrenaline and immediately had a calming effect when I practiced it with Karen. 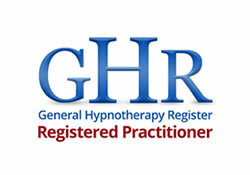 I underwent the hypnotherapy session and felt extremely relaxed. Following the session, I had no further panic attacks and felt totally calm and on the day of the exam, I utilised the breathing exercises and anchoring techniques to remain calm throughout. I feel that the session most certainly benefitted me as prior to and during the exam, I was calmer than I have ever been! And to top it all, I passed the exam! Thanks Karen! I cannot sing Karen’s praises highly enough! I am addicted to sugar and chocolate in any form which meant I was consuming hundreds of un-needed extra calories every single day. Karen successfully used aversion therapy on me and I can honestly say that I haven’t wanted or eaten chocolate or biscuits since, that was 5 weeks ago. 2 weeks ago I decided that I wanted to ensure that I never weaken especially as I cruise twice a year and that temptation would send me on a fast downward spiral. Karen successfully hypnotised me and extended the aversion to all desserts and I’m thrilled to say that I still haven’t had anything other than good, healthy food since. I enjoy fruit & veg much more now – and the effects are amazing… in only 5 weeks I have lost 16lbs!! With NO hardship or self-denial, and NO sugar-crash etc. I sleep better too now. In one little hour my life changed and I left Karen a healthier, happier and more positive person. I recommend her to anyone who needs a gentle push with any type of issue – because she really can do it and that means you really can achieve your goals in the easiest and fastest way. I cannot thank Karen enough, with just one session she put me on my way to changing my level of success in my chosen sport!